The GoPro is a great camera to have as part of your video equipment package. Its small size and almost limitless mounting options make it a versatile tool for getting those unique shots and angles. And with option of the Hero Black 4 to shoot up to 4K the image resolution and quality has never been better. But in my opinion, the downside of the GoPro has always been image stability and not being able to see your image as you capture …that is until now! 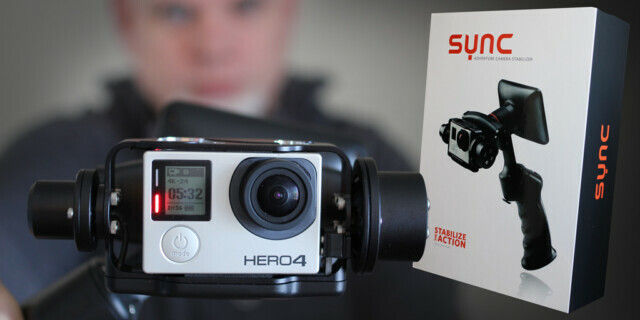 I recently picked up the Sync Adventure Stabilizer for the GoPro. This gyroscopic stabilizer with a 3.5” LCD screen enables you to shoot steady handheld video while being able to see and frame your shots as you shoot!